It’s a classic story of a self-made man. Austrian immigrant Arnold Schwarzenegger hustled his bodybuilding stardom into a lucrative movie career, from which he launched a successful bid to become the governor of California, making millions along the way. 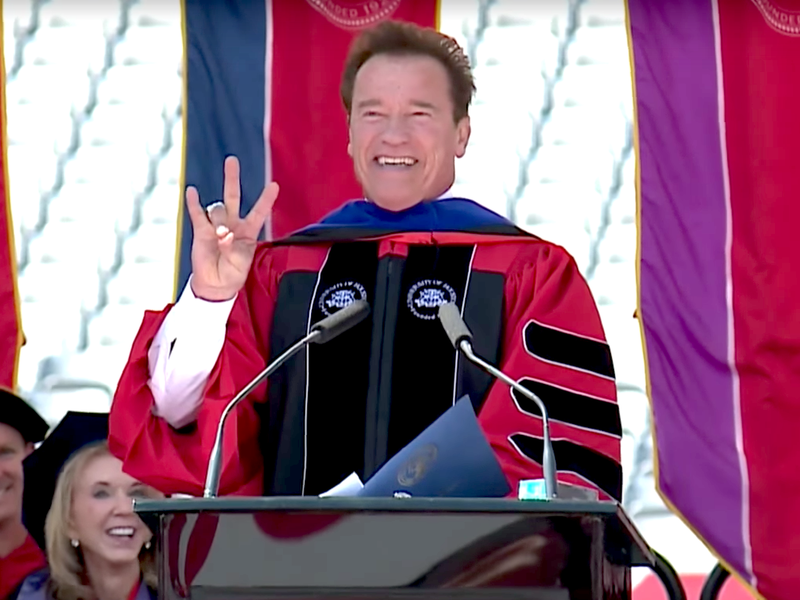 However, that’s a narrative that Schwarzenegger himself dismantled at his recent commencement speech to graduates at the University of Houston. In fact, he told them to dismiss the idea of the self-made man entirely.